The Inside Scoop on How Awesome my Life has been since I Quit my Job (& exciting news) ~ The Wandering Soul's Wander Tales..
Quite frankly, much of it sucked! (Well not entirely, but you'll know what I mean after you've read this post. With great power comes great responsibility and that's what has happened to me. I finally earned my freedom last year but as always with many good things, it was easier to achieve freedom than holding on to it! During the last few months I learned it requires a lot of self discipline to make freelancing work for you. And as it turns out, the queen of procrastination(me) wasn't ready to change her languorous ways despite the lure of an adventurous future. I won't elaborate on the practicalities of freelance life here, that's for another day but safe to say, it's twice as tough and half as glamorous. When I was working in a full time corporate job, I used to wake up at 5 in the morning and file stories or pitch ideas before heading to work. I used to hole myself up in my home office over weekends working over ideas, stories and images. I thought if I could do so well with a full time job at hand, I imagined the moment I quit I would pick up new publications to write for and type thousands of words and process Gigabytes of images. In reality, all I did was watch many of the epic TV series I missed out over the past years where I traveled or slogged to get my foot into travel writing industry. I had resisted the temptation for so long, to watch Game of Thrones or Sherlock even as my Facebook and Twitter feeds were filled with spoilers and praises day after day. But in the first few days after I quit where I found myself waking up to days with so set agenda and full of "free" time, all my resolution shattered into pieces. I missed out on pop culture for way too long that I binge-watched series to my heart's content. I watched Game of Thrones, Sherlock, Homeland, House of Cards, Castle and several hundred reruns of F.R.I.E.N.D.S in the last 6 months. I took delightful afternoon naps on cold winter days of Bangalore. I woke up in no hurry, enjoyed several cups of instant coffee(I make horrible coffee btw) and thanked my stars a million times that I have escaped the wretched Bangalore Traffic! While I don't entirely regret lazing around(after 7 years of corporate life, I think I deserve 6 months of doing nothing), it hurts that I wasn't at least half as productive as I wanted to be. Work and travel wise, it was good. I traveled a lot in the 6 months since I quit (Bhutan, Mongolia, Macao, Arunachal Pradesh, Goa, Uttarakhand, Sahyadris, Punjab, Western Ghats). I broke into dream publications and have been writing feature stories for leading magazines but I know I haven't even scratched the surface - of neither my ability nor the stories locked up in my mind. 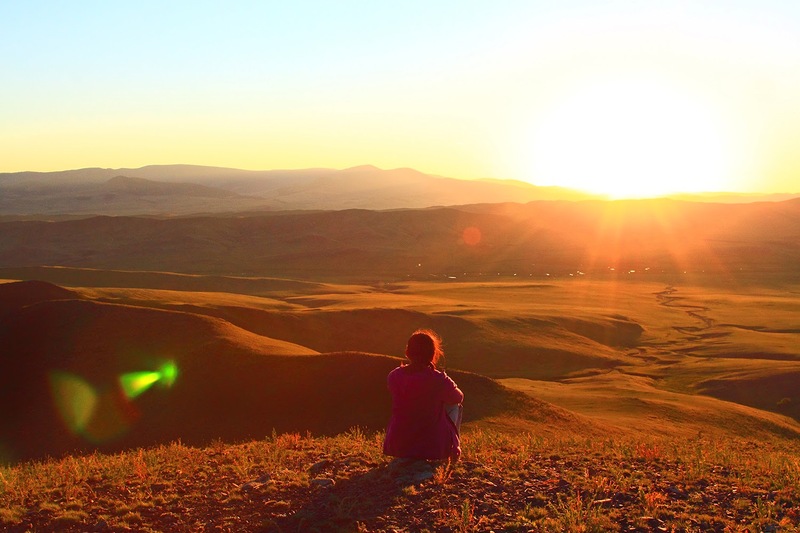 I haven't even started working on Mongolia stories yet or pictures and it's been 4 months since I got back! I got so comfortable returning to my home in Bangalore that I passed up on many opportunities. Renting a place even after I quit didn't make sense considering I wanted to be a nomad in first place, but this was a new low. I preferred to stay here instead of chasing new adventures. That was the trigger that jolted me out of my slothful stupor, something was definitely going wrong. I found myself waiting for opportunities rather than creating them. And that's when I decided enough is enough. I now need to shake things up a bit and get out of this comfortable shell I've created for myself in Bangalore. I needed to move away from the distractions of lightning quick & unlimited internet. When the internet is so limited in hinterlands where I plan to be, I'm sure I'll be focussed on finishing the work at hand and shutting down the laptop because *slow internet*. 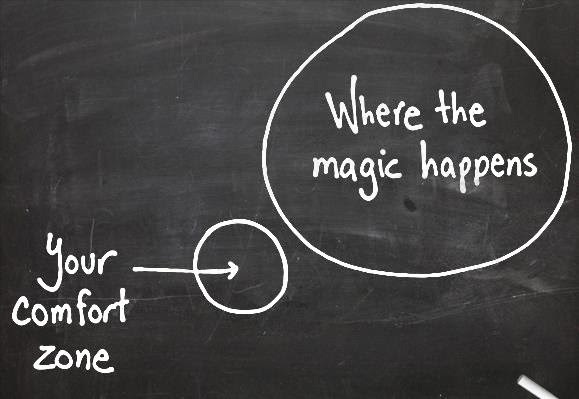 It's time to move far out of my comfort zone because we all know where magic happens! My New Year resolution is to be more adventurous, climb more mountains, spend more time outdoors and return to the kind of crazy trips that drew you all to my blog to begin with. 2015 will be year where I'll happily embrace discomfort in return for an epic story. My first reading of 2015, and I am blessed. I am going through the same phase these days as I want to quit my job and do travel and become a freelancer. That is a great start to 2015! Bon Voyage, Neelima! Kudos to a great decision. Good luck! if you get down to Goa, let me know. I understand your feelings: after three years of teaching at school I used to spend my time lazing around too, and then felt guilty for wasting the opportunities. But as you said after years of working a person deserves a few months of rest. I have a few new year resolutions, and some of them are similar to yours :) All the best for you in 2015! I quit my banking job in February 2014, after 17 years in a 'high-flying' career that afforded me luxury but which I had not much drive for. Life can fly by when you leave yourself in auto-pilot zombie mode! The competitive environment sometimes brought out horrible sides of my character that I didn't even know I had! and the stress had kept me in a constant flight-or-fight mood. Hence, I decided to walk out to save myself, and because I could ! Unlike yourself, I had already started up a part-time business before I left the corporate world.. and therefore my transition to life at home was pretty smooth. I really enjoyed my small start-up and it helped to pay the bills! Best of all, I worked when I wanted to, from home, and soon, every day felt like the best day of my life, LOL. Only after 4 months, did I decide to download and watch tv series..(I am more of a movie person)..My fun discoveries were Breaking Bad, Arrow, The Flash, Freaks & Geeks, etc.. and though in 2014 I didn't get to wander around the world as much as I used to (only 2 trips, no thanks to a smaller budget), it's been a wonderful year at home, where I applied my balanced plan of enrichment (reading), entertainment (movies), exercise (jogging and yoga) and social exchanges (interacting with customers). wow, that's an exciting year head of you - wish you lots of safe and fun travels in 2015! Neelima, the more I read about your wander lust, the more you awe me!! You are one of the most courageous people I have ever known. Following the heart is the most difficult thing to do in this world of norms. Moreover it takes nerves of steel to move out of one's comfort zone. Kudos to you. My hearty wishes for a wonderful 2015 and may all your dreams come true. I know they will. For even God would admire his children who live their dreams. On a lighter note, I loved your ending :) 'I might as well be lazy in a place with a view' :) Too much of seriousness is also bad for health !! I love your travel blogs and photos and everything in-between. This is one of those rants and I love it. I am going through same phase though I have not quit my job but constantly fighting the ROUTINE life. Your blog motivates me and gives fresh perspective on life and hope that I will get over all it and I will be as happy and contented as you are. Wish you all the best! I'm about to do the same - quit my job and travel - for the 3rd time! Wow… bold and exciting! May the new year and move only prove magical in every sense of the word! Hearts desire is to own some land and grow vegetables / crops but that's way too risky and I don't have a sound ₹ background... So have to work even with politics at office. Lucky you... Enjoy ! Awesome. So where is your first place of stop? Great Blog,I Love your travel blogs and photos and everything in-between.thanks for sharing.